The Bishop Table is designed to nest with sofas, sectionals and ottomans, providing a stylish and convenient surface for drinks, magazines, and electronic devices. 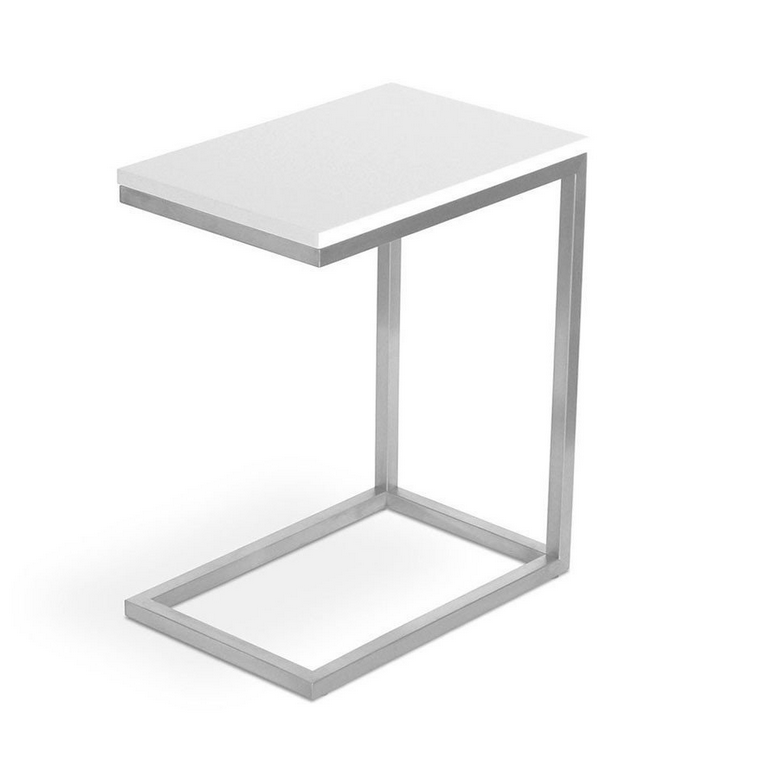 Available in white lacquer with a stainless steel base. - Top is engineered wood core with multi-coat lacquer finish. - Bench-made, brushed stainless steel perimeter base with mitered corners. - Bumpers on the bottom of base to protect hardwood floors. - Water-based, clear coat finish. - Product colours may vary slightly from those shown on your display.